Now it's possible for you to own and promote a premier International Introduction affiliate web site. By joining our White Label Affiliate Program you will be tapping into one of the most successful International dating services on the Internet today. In a short time you can be earning income from your own full service, professional Internet site, boasting nearly 50,000 profiles of beautiful, single women from all regions of the world. Auto Updates-weekly E-mails containing matches from the average of 150 to 200 NEW, verified profiles added to your site each week - EVERY Wednesday. A wide variety of products, services and options to choose from - that ALL generate revenue for YOU! Informative Monthly Newsletters, promotional letters, etc., all promoting your web site. The premier customer support staff in the singles industry today matched by no one else. Fraud prevention policies surpassed by no other company in the singles industry today offers you the best chance of success. We will also take care of all hosting and bandwidth and provide a secure server for all credit card transactions. Working with you, our design team will custom build your white label site for you under a brand and style you choose (some limitations apply). You develop your own brand name. Your web site, banners, and links can feature the name you choose as well as your own logo, if you so desire. We supply all the content, services and support updated and maintained just as if YOU employed the staff and infrastructure of a premier international dating service! There is little doubt that A Foreign Affair offers among the best White Label Affiliate Programs available. All you need to do is PROMOTE your web site! 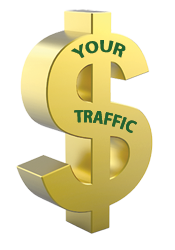 Your earnings will be at the same scale as a standard affiliate. Currently, we are inclined to only work with white label affiliates under our PPS Pay Per Sale LIFETIME payment option. You can review our earnings scale on our Standard Affiliate Page. HOW TO JOIN THE WHITE LABEL AFFILIATE PROGRAM? Create a Standard Affiliate Account now and begin promoting our services using the tools available to you there. Of course, we need to know who you are, etc. For affiliates who desire to participate in our White Label Affiliate program, there is a review process due to our investment in the development of your web site. We will need to review and discuss your sources and volume of traffic and other relative issues prior to approval and executing you web site set up and design. This process can be accomplished fairly quickly. WHAT ARE THE QUALIFICATIONS FOR A WHITE LABEL WEBSITE? Of course, there is a cost and investment on our part to design, develop and host your white label site. So we cannot just offer our white label program without some sort of qualification criteria. As a general rule, to be considered for our white label program we would like to see that an affiliate has established a standard affiliate account with us and has been generating at least an average of $500 per month in commissions for at least a few months. We understand that there MAY be exceptions to this rule. If you can show us that you have the experience and infrastructure to generate a substantial volume of quality traffic that would justify a white label website then we are willing to consider it. You should contact us using the contact form here in our affiliate center. In ANY event, you should always establish your standard affiliate account now and begin promoting our services using the tools available to you for that. HOW DOES THE WHITE LABEL WEB SITE / AFFILIATE PROGRAM WORK? Set up your account and complete the review process with us. Upon approval, supply us with your own domain name (or discuss potential domain names with us). Discuss the design of your site. Prepare and implement your marketing plan including using the marketing tools we provide to our affiliates. Once your web site is completed, simply PROMOTE, PROMOTE, and PROMOTE your web site. We do the rest for you! Host, update and maintain your site. Supply you with the basic content and structure for the site. Update the content and services listed on your site. Assist with SEO and search engine rankings. Provide industry leading customer support for your clients. Provide secure payment processing for your orders. Provide marketing support and affiliate tools for you. We do it all and still pay you a $500.00 tour commission, 30% on all address sales and recurring memberships, and 20% on a wide variety other popular services!